Here are some fun facts I recently learned: Did you know that Rimmel London cosmetics are two centuries old? 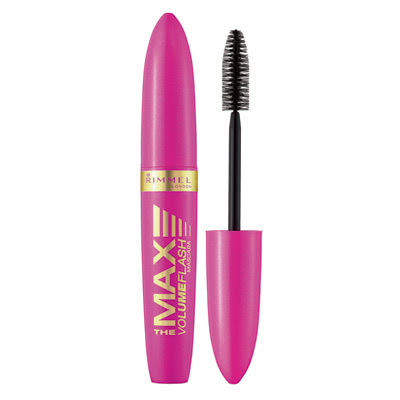 Did you also know that Eugene Rimmel, the founder, created the first mascara product, in the 19th century? Fast forward to 2010, and Rimmel London is making a strong push here in the US with brand new ad campaigns featuring celebs like Lilly Cole and Beyonce's sister Solange, a new online campaign called the Rimmel 10 Girls and some products you will be very excited about! Take their new mascara, MAX Volume Flash, for example. It's perfect for those of you who are watching your wallets, but don't want to sacrifice product quality, performance - and fun packaging! I liked this mascara because the short, round brush with a pointy tip, really grabbed on to my lashes, and the formula gave them instant thickness, lushness and shine in just two coats. It primarily meant for volume, as it states, but it did give me some nice additional length as well. This product was provided courtesy of Rimmel London for reviewing purposes. Sephora.com is offering you 15% ALL Beauty! What are you waiting for?